Windows users have a few different options when it comes to creating customized keyboard layouts. You could use the ever-popular Portable Keyboard Layout software. It’s open source and lets you keep different keyboard layouts on a USB stick so you can easily use them on any machine. Of course, Windows also offers a native way to jump between different keyboard layouts. You can also try using keyboard remapping software Missing A Key? How To Remap & Fix Your Keyboard Layout Missing A Key? 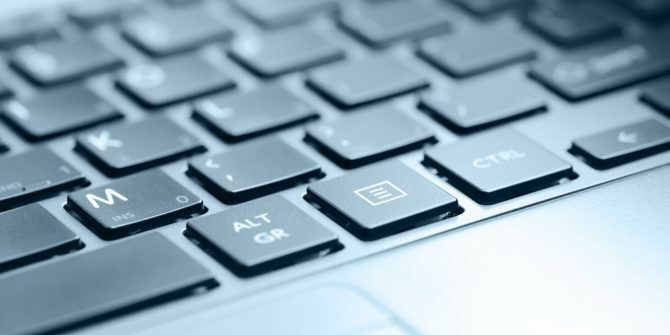 How To Remap & Fix Your Keyboard Layout Whether you're missing a key on your keyboard or just want to improve your productivity, remapping can be extremely useful. We'll show you how. Read More . There are lots of free options available, but one of the most overlooked apps is the official Microsoft Keyboard Layout Creator. Before we start, a word of warning: the Microsoft Keyboard Layout Creator app is nearly a decade old. It still works perfectly and runs on Windows 10, but occasionally you might encounter a bug. Open the Microsoft Keyboard Layout Creator app. Head to File > Load Existing Keyboard. Pick the layout you want to customize. You should make sure you pick the layout that matches your current keyboard setup, for example, QWERTY (U.S.). Go to File > Save Source File As so you have a backup before you start making changes. Set your new keyboard’s parameters in Project > Properties. You can pick a language and give the keyboard a name and description. Click on a key and follow the on-screen prompt to remap it to a character of your choosing. If you want to add hotkeys for accented letters or other obscure characters that you frequently use, the easiest way is to program them to Ctrl + Alt + [Number]. You cannot overwrite existing shortcuts like Ctrl + S (Save) or Ctrl + A (Select All). Check out our article about useful Windows shortcuts Windows Keyboard Shortcuts 101: The Ultimate Guide Windows Keyboard Shortcuts 101: The Ultimate Guide Keyboard shortcuts can save you hours of time. Master the universal Windows keyboard shortcuts, keyboard tricks for specific programs, and a few other tips to speed up your work. Read More if you’d like to learn more. Is there a way to use two keyboards (as in the other article) and use a custom keyboard layout on just one of them? What I mean is to attach a second keyboard and map its keys to, let's say, math symbols (or a second language, accented letter, what have you) while keeping the standard layout on the primary keyboard. Great tutorial , very useful for me.